Compiled by Nancy Brannon, Ph.D.
Raulff writes that, today, horses are merely “the ghosts of modernity.” He takes the reader through the cultural and technological shifts from agrarian life to urbanized life and industrialization, including the roles of the horse in war, science, and art, to the current role of the horse as anachronistic. The downside of this account is that, under the hands of humans, horses have suffered tremendously. Raulff writes about the plight of horses in wartime. In the Civil War, some 1.5 million horses and mules died. 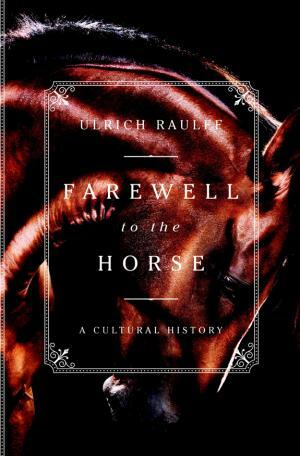 In World War I, “by the final climax of the fighting on the Western Front in August 1918 the life expectancy of an artillery horse on the front was ten days,” Raulff writes. Even in peacetime working horses and mules around the world still suffer at the hands of humans. Raulff divides “his superabundance of material” (Morgan) into four broad categories. (1) Lived histories: examining the use of horses in cities and rural areas, “their ubiquity in human progress, and their decline as a weapon of war,” writes Raulff. (3) Metaphor: the horse in literature, such as Herodotus (the Nisean horse) and the legend of the Amazon horsewomen, as well as speculating on the frequent bond between teen and pre-teen girls and horses. About the WSJ reviewer: Mr. Curtis is a former editor of the Texas Monthly, and was an avid horseman for many years.